WASHINGTON (AP) — Donald Trump asserted in the final presidential debate that no one respects women more than he does. Yet in its closing moments, standing onstage with the first major-party female presidential nominee in U.S. history, he called Hillary Clinton "such a nasty woman." Political pundits of both parties expressed shock at the snipe, with many on social media and cable news identifying it as one of the Republican nominee's worst moments of the 90-minute meetup in Las Vegas. 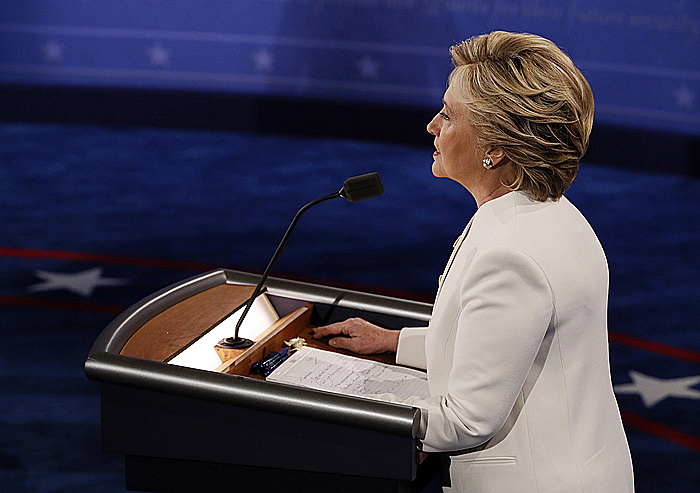 Clinton, the Democratic nominee, seemed to get under Trump's skin just before the comment. She'd been talking about her proposal to preserve Social Security and Medicare. Her plan, she noted, would raise taxes on the wealthy, including her and Trump. And then she added of the billionaire, who in the 1990s took nearly a $1 billion write-off for business losses: "Assuming he can't figure out how to get out of it." As she continued talking Trump interjected, "Such a nasty woman." He raised his right hand to point his finger and shook his head, letting his mouth drop open in apparent disgust. Clinton let the comment roll off her and continued pressing her case.